Pursuing a simultaneous, side-by-side comparison and contrast of the early Socratic dialogue Euthyphro and the apostle Paul’s speech at Mars Hill in Acts 17 affords the chance for a fascinating and instructive exploration. The most obvious similarity is geographical. Separated by time but linked in space, ground zero for both epic events was Athens, the intellectual cradle of the western world, the birthplace of philosophy. Presocratics like Thales and Heraclitus hailing from Ionia were the warm-up act; Socrates and his student Plato, and Plato’s student Aristotle, were the main actors in bringing philosophy to life, and Athens, at the edge of the fabled Aegean, was center stage. In Paul’s case, the speech before the Areopagus took place at Mars Hill, carved into the rocky hillside containing, at its zenith, the Acropolis—prominently featuring the Parthenon and other temples and shrines—and overlooking the agora, the marketplace, further down. In that marketplace, Socrates, in whose lifetime the Parthenon was completed, tried out his ideas, engaging people in conversation and needling them with questions whose effect was far from effective at ingratiating himself to his unfortunate interlocutors. The apostle Paul, too, nearly five centuries later, took it to the streets of the agora—“When In Athens.” The Areopagus—the name for both the Athenian council and the meeting place of the council—was known as Mars Hill because it was the place where Ares, the son of Zeus, was thought to have been tried for having killed his uncle Poseidon’s son. When the Romans co-opted the Greek pantheon of gods, Zeus became Jupiter, Artemis Diana, and Ares Mars, the Roman god of war. Thus Mars Hill. The setting of the Euthyphro is the porch of the King Archon, one of nine Athenian magistrates whose quasi-religious functions included presiding over cases involving impiety and homicide. Socrates is there to inquire further into the accusations levied against him by Meletus of corrupting the youth, denying the existence of the old gods, and inventing new ones. Paul and Socrates had started in the agora, but both ended up in trouble, answerable to reigning Greek authorities, for a surprising number of overlapping reasons. Paul was on his second missionary journey when he stopped at Athens, whereas Socrates, who had spent his whole life in Athens, was nearing the end of his earthly pilgrimage. Socrates had gained a following, especially among the young men of Athens. The core of his followers, including his star student and biographer extraordinaire Plato, was devoted and loyal. Paul, too, while at Athens, garnered a following— in the sense of converts to the faith he was proclaiming. This happened in most of the places he went, Athens no exception. The two examples of new “followers” the passage adduces are Dionysius the Areopagite and a woman named Damaris, “and others with them” who go unnamed. In addition to gaining enthusiastic followers and new adherents, both also generated quite a bit of opposition. This is hardly surprising, since each of them made points that challenged prevailing convictions, including longstanding views and customs considered largely sacrosanct. Opposition was something to which they had both grown accustomed. Again, in the immediate context, each was in a state of being challenged to defend his ideas. Socrates was accused by Meletus (and Anytus and Lycon, we find out in the Apology) of corrupting the youth and impiety regarding the gods, and would soon face those charges in court. Euthyphro initially thought that Socrates had nothing to worry about regarding such charges, but of course he would turn out to be quite tragically wrong about this matter. Paul was brought before the Areopagus after having argued in the synagogue with the Jews and God fearers—those Gentile sympathizers with monotheism and with second temple Judaism—and also in the marketplace every day with those who happened to be there. The latter methodology was a bit new for Paul, who more typically preached, proclaimed, and dialogued in the synagogue. To venture into the agora is a clear parallel with Socrates, whose common practice this was—for no charge, unlike the Sophists who taught rhetoric for a fee. Euthyphro’s first question to Socrates in Euthyphro is why he’d left the Lyceum—a public meeting place in a grove of trees in classical Athens. In Athens both Paul and Socrates were very public philosophers indeed. For those who think Paul wasn’t much of a philosopher, it might be instructive to know that Antony Flew said of Paul numerous times that, in his own estimation, Paul had a first-rate philosophical mind. His ability at Mars Hill to engage in informed and insightful discourse with the reigning philosophies of his day provides partial evidence of this. Paul was brought before the Areopagus because this was the protocol when someone wished to introduce new gods to be revered and worshiped, and this was what Paul was thought by the Athenians to be doing. The new gods they took Paul to be proclaiming were Jesus and Anastasis—resurrection. Since the category of resurrection was so foreign to Greek ears, they naturally took his reference to it—transliterated anastasis—as a reference to a new goddess; and now Jesus and Anastasis needed to be defended—their existence, their credentials, their benefits. The protocol for introducing new deities required Paul to address the Areopagus, so his address had for its ostensible purpose to answer questions posed to him, specifically, who were these new gods, and why did they deserve a place among the gods recognized in Athens? Some of the philosophers present, Stoics and Epicureans, had impugned the quality and caliber of Paul’s proclamations, accusing him being a babbler, cobbling together bits and pieces of a variety of worldview and religious perspectives. If such were the case, his new ideas would hardly be worthy of recognition, but rather of categorical exclusion if not downright derision. Socrates also did something thought problematically “new.” In his career he had made it clear that he was following what he took to be a divine directive—an inner voice that he assumed had come from God—to inquire more fully into the revelation from the Oracle of Delphi that there was no one in Athens wiser than him. He had been incredulous to hear this, because he claimed to be ignorant of nearly everything. To disprove the thesis he was the wisest, he sought wisdom from others, but had discovered through a process of searching questions that his interlocutors were just as ignorant of him. The only difference he thought he could find was that, while they claimed to be wise and were ignorant, he disavowed having wisdom himself. In this sense, he finally concluded, perhaps the Oracle was right—he was the wisest after all for knowing of his own ignorance, unlike others. Socrates saw ignorance as the epistemically humble path the judicious trod. If the evidence wasn’t there or wasn’t strong enough for a view, he remained skeptical about it, carefully apportioning belief to the evidence. To what are they referring when they write of Socrates as the “servant of the divine power” and “living in complete obedience to God”? The dialogue itself provides the answer about this Socratic innovation. Despite his skepticism about the Greek pantheon of manmade gods, references to the divine recur time and again. “However, let that turn out as God wills. I must obey the law and make my defense” (19a); “real wisdom is the property of God” (23b); “That is why I still go about seeking and searching in obedience to the divine command…” (23b); “…when God appointed me, as I supposed and believed, to the duty of leading the philosophical life, examining myself and others…” (28e); “…I owe a greater obedience to God than to you, and so long as I draw breath and have my faculties, I shall never stop practicing philosophy and exhorting you and elucidating the truth for everyone that I meet” (29d); “I shall reprove him for neglecting what is of supreme importance, and giving his attention to trivialities…. This, I do assure you is what my God commands, and it is my belief that no greater good has ever befallen you in this city than my service to my God” (30a); “I do not believe that the law of God permits a better man to be harmed by a worse” (30d); “It is literally true, even if it sounds rather comical, that God has specially appointed me to this city, as though it were a large thoroughbred horse which because of its great size is inclined to be lazy and needs the stimulation of some stinging fly” (30e); “I am subject to a divine or supernatural experience…. It began in my early childhood—a sort of voice which comes to me, and when it comes it always dissuades me from what I am proposing to do, and never urges me on” (31d); “This duty I have accepted, as I said, in obedience to God’s commands given in oracles and dreams and in every other way that any other divine dispensation has ever impressed a duty upon man. This is a true statement, gentlemen, and easy to verify” (33c); “Now it is time that we were going, I to die and you to live, but which of us has the happier prospect is unknown to anyone but God” (42a). When Socrates, however ingenuously, offered to become Euthyphro’s disciple, it was perhaps in part motivated to underscore something ironic. Euthyphro was there at court not defending himself, but pressing charges against another, specifically, his own father. His father had bound a slave who had murdered a house servant. While awaiting directions as to how to proceed, the father allowed the slave to die from hunger and exposure, having had him tossed in a ditch while awaiting further instructions. Athenian custom would dictate Euthyphro to assign primacy to loyalty to his father, and his revisionism in suing his father for wrongdoing was a real departure from normal customs. Socrates’ own innovations, though, in heeding what he thought was a divine mandate while being skeptical of the capricious, finite, and feuding deities of the Greek pantheon was the reason he was in trouble. With some justification, Socrates’ gesture toward taking on the younger and confident Euthyphro as his mentor—relegating himself to the role of protégé—accentuated the irony that Euthyphro’s radical departure from custom was unquestioned while his own innovations were cast as objectionably problematic. The Socratic subtext was that this state of affairs betrayed a real inconsistency that ought to be rectified. This is both an interesting point of comparison and contrast with Paul. Paul believed in the importance of evidence, too, and what he considered the most important evidential factor to consider will be discussed momentarily. But his view concerning ignorance was quite a bit less sanguine than that of Socrates. Far from wearing ignorance as a proverbial badge of honor, or celebrating as sufficient an altar to an unknown god, Paul explicitly said, “While God has overlooked the times of human ignorance, now he commands all people everywhere to repent…” (Acts 17:30). Paul thought that, with the resurrection, a vitally important truth about God had been revealed, the surprising piece of the puzzle that, now that it’s shown up, makes possible the puzzle’s solution. Theology was no mere exercise of blind faith or empty conjecture, but of definitive truth now made clear. Among what had been revealed was something that the philosophers in Paul’s audience would find anathema: that there was a judgment to come. The world would be judged in righteousness, by a man whose credentials have been established. On this issue of judgment for wrongdoing, incidentally, Paul echoed a theme that both Socrates and Euthyphro seemed to agree on entirely, namely, that a wrongdoer deserves punishment. The shared nature of this belief might suggest that this insight is part of what some might call “general revelation.” In Summa contra Gentiles Aquinas wrote that the knowledge of God accessible independent of specific revelation pertained to (1) what may be asserted of God in Himself, (2) what may be asserted about the procession of the creatures of God, and (3) about the ordination of the creatures towards God as their ends. 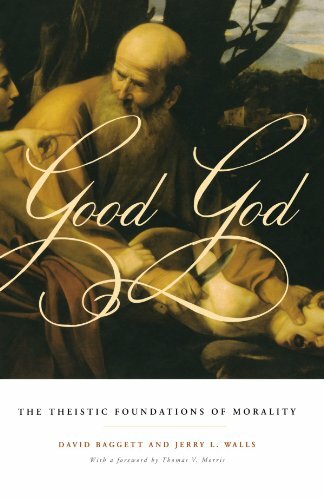 A particularly poignant piece of natural theology is morality; there is something morally instinctive, deeply intuitive, wildly instructive, and patently obvious about the idea that justice demands that wrongs be addressed. The failure to effect such justice leaves an injustice in place and not properly fixed—which would be in intractably irrational feature of reality. In one sense or another, human beings are morally accountable for their actions. The famous Boyle Lectures of Samuel Clarke deal, in this order, with the existence of God, the attributes of God as Creator and Moral Governor of the world, the certainty of a “state of rewards and punishments,” as truths assumed to be capable of formal demonstration. To the contrary of questioning an assumption about moral justice, Socrates gave it his wholehearted endorsement. His claim of ignorance didn’t include claims about moral responsibility; he never disavowed the category of moral accountability. He acknowledged the difficulty on occasion of identifying which actions were instances of wrongdoing; for example, he was much less confident than Euthyphro that Euthyphro’s suing of his own father was morally right. Rather, he entertained grave doubts about its piety or holiness. But an actually impious or unholy action was an action he thought merited punishment for the wrongdoer. This is clear, among other junctures in the dialogue, when Socrates discussed the alleged enmities and contentions among the gods. 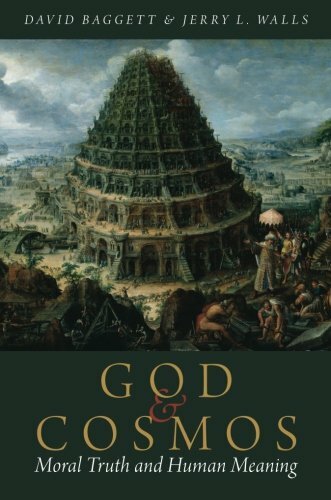 He wrote, concerning the gods, that they don’t venture to argue that the guilty are to be unpunished, even if they do argue that they aren’t actually guilty. Like Euthyphro and Socrates, there is both agreement and disagreement among the gods; they disagree on whether particular instances of alleged wrongdoing are actual ones; they agree, though, that genuine examples of wrongdoing deserve punishment. Of course Socrates didn’t have Paul’s rich theology, but the parallel in pointing to the moral appropriateness of judgment and punishment for wrongdoing is a conspicuous one. Socrates wasn’t responsible for fully anticipating all the details of additional special revelation to come; but by Paul’s context, in the fullness of time, the hour of ignorance was over. Socrates pointed to the lack of evidence for the Athenian gods; Paul agreed, but Paul was the new gadfly, extending the point in a positive direction: the evidence for the right theology was now available. The finite, fallible gods were dead; the God who is the Ground of Being, the Creator and Sustainer of the universe, the God in whom there’s no shadow of turning, is alive and well. Others have pointed out germane overlaps and salient similarities between Paul and Socrates. Some of the early Christian apologists pointed out similarities between Socrates and Jesus, in fact, and others have pointed out the similar structure of Paul’s address at Mars Hill and that of Socrates in the Apology: Dialogue, accusation, explanation. As noted, they were both profoundly skeptical of the gods worshiped all around them. Socrates had heard the myths of the gods inherited from playwrights and poets, legends and lore. Homer and Hesiod had fired the Greek imagination, populating it with an array of capricious and contentious gods, and reinforcing a view of the world according to which fate was the ultimate determinant. Socrates sought a better way, a world of reason, regulated by structure, a cosmos rather than a chaos. For him the legends strained credulity, for they revealed a world full of fallible gods filled with foibles, gods pretty clearly made in the image of men. He admitted that he found such legends hard to believe, whereas Euthyphro, credulously embracing all the stories with nothing but the most wooden literalness, affirmed his assent to their veracity, despite their inherent tensions, conflicting claims, and warring gods. Deity, for Socrates, if it exists at all, must be free of such imperfections and flaws. Paul of course would concur, and his Jewishness alone would no doubt suffice to make him grieved and distressed at all the idolatry in Athens. The most axiomatic Jewish conviction was that there is one God alone; this is why Jews would each day repeat the “Shema,” taken from Deut 6:4: “Hear, O Israel, the Lord our God. The Lord is one.” The Hebrew verb for “hear” is shema. The mentality of the Athenians seemed to be one of “covering bases,” as it were; after all, devotion and payments of homage to the gods was the surefire way of securing divine blessing on the city. So they must have figured better to be safe than sorry; worshiping the full panoply of gods, the full pantheon of deities, an expansive range of divinities, could maximize the likelihood of securing desired blessings. Euthyphro, similarly, had thought that a religious orientation called for such credulity. There was little fear of holding wrong beliefs among these who had adopted (what we can call) the Homeric spirit; it was rather a picture of an expansive range of beliefs in order to be on the safe side. This way there was less chance that some capricious god or goddess would withhold their blessing. Paul’s contrasting approach is rather in the Socratic spirit. It wasn’t about covering one’s bases or being safe rather than sorry; it was a matter of caring about the truth. And Paul was adamantly committed to the truth that one God exists, not a plethora, not a panoply, not a pantheon, but one God. And rather than arguing that this one God deserved a place among the temples and shrines in Athens, Paul’s point was radically subversive, startling his audience. This one God was the only true God, and all the other alleged gods and goddesses were a sham, unreal, nonexistent, powerless, mere idols. Moreover, this one God was the Creator and Sustainer of all, and hardly able to be contained within a man-made temple or booth or building. He was the God of all creation, and whatever the cosmology of his audience, they knew the world was a big place. This God was bigger and greater yet, and not afflicted with the limitations or weaknesses or flaws of the gods of Athenian lore. As much as Socrates, Paul was skeptical both of the legends and of the Homeric spirit that privileges an ambitious range of beliefs to cover one’s bases over a serious examination of where the evidence points. This leads to an important insight of contemporary relevance. Although cooperation, dialogue, and shared missions between those of divergent religious traditions is surely a worthwhile goal, there remain irremediable theological differences that can’t be simply discounted and ignored, as if they were easily eliminable and unimportant. Those core convictions are at the heart of those groups’ essential identities. Paul was little interested in forging a working relationship with those he thought were missing the truth, setting aside as trivial their worldview differences. It was exactly a focus on those differences that led to his faithful and uncompromising proclamation. Ignoring the differences—even when they show diametrically opposite worldview convictions—is to privilege a Homeric spirit; retaining the proper place for objective truth claims that matter and for which we’re responsible is to privilege the Socratic spirit. Paul is a paradigmatic example of the latter camp. Perhaps most fundamentally, Paul and Socrates agreed that people ought to be skeptical of the right things, and convinced by the right things. Where evidence is lacking, suspension of belief is appropriate; Socrates was skeptical of the pantheon of old gods and the traditional myths, and he should have been. Paul was likewise convinced that the gods worshiped in Athens were mere idols. Socrates also, however, hearkened to what he considered a veridical divine voice—emanating from a source other than the traditional gods whose imperfections and contentions were legend. It was a voice that would dissuade him from courses of actions he would consider, and a voice that made him think he was on a divine mission for which he would be held responsible. “When Gentiles, who do not possess the law, do instinctively what the law requires, these, though not having the law, are a law to themselves. They show that what the law requires is written on their hearts, to which their own conscience also bears witness; and their conflicting thoughts will accuse or perhaps excuse them on the day when, according to my gospel, God through Jesus Christ, will judge the secret thoughts of all” (Rom 2:14-16). Paul, too, had received a special and personal divine revelation of Christ, but, interestingly, his appeal to others was not based on that experience, but on the resurrection itself, which provided evidence for everyone. God “has fixed a day on which he will have the world judged in righteousness by a man whom he has appointed, and of this he has given assurance to all by raising him from the dead” (Acts 17:31; emphasis added). With a Jewish audience Paul made the case for the necessity of the resurrection from the scriptures; in the heart of Athens, he instead used Gentile and Stoic poets to make connections before pointing to the resurrection, often coopting the words and categories of those writers for his own purposes of proclamation. Like Socrates, Paul was skeptical of the pantheon of gods, but equally insistent that his listeners be willing to follow the evidence where it leads. Paul started where his audience was, but took them to where he knew they needed to go; as foreign as reference to a resurrection was, this was the pivotal event and confirming evidence that the God of whom he spoke was real. Plato: The Collected Dialogues (Princeton, NJ: Princeton University Press, 1961), ed. Edith Hamilton and Huntington Cairns, p. 3. “God saw that it was good."